Deer Feeder Motor Unit-6 Volt Digital Spinner Unit. Not only does the spinner plate rotate but it also goes up and down locking closed when the motor is off. 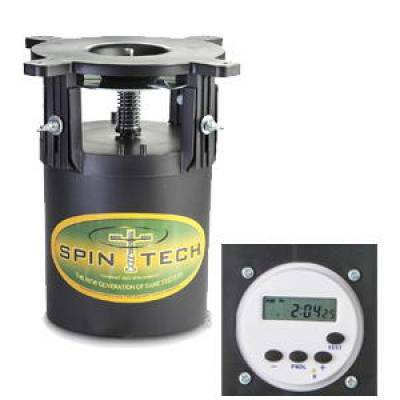 Be confident that you are saving time and money because the SpinTech mechanism assures you that birds hogs and varmints such as squirrels and raccoons cannot get to your deer feed due to the locking spinner plate.